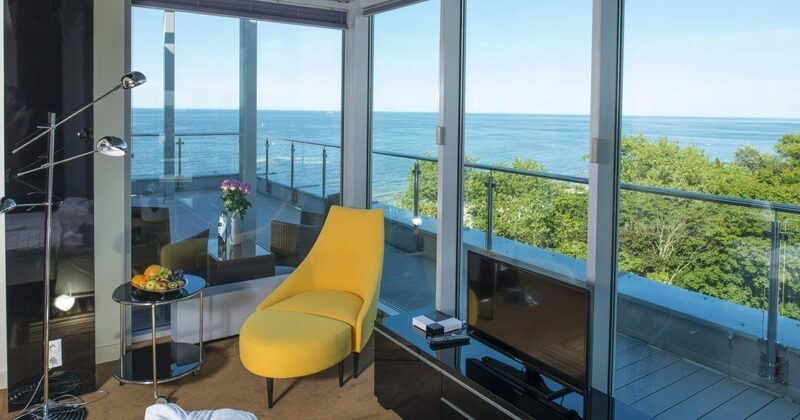 A modern design apartment featuring innovative amenities, air conditioning and a beautiful view of the Baltic Sea. It was designed to satisfy the expectations of guests looking for accommodation of the highest standard. The apartments feature a fully equipped kitchenette, fridge, coffee and tea making facilities, a sitting area, a bedroom area, TV with cable, telephone, Wi-Fi and a bathroom with a bathtub and shower. The apartment rate is for 4 persons. Each additional person is subject to a charge according to a rollaway bed rate specified in the resort’s price list.